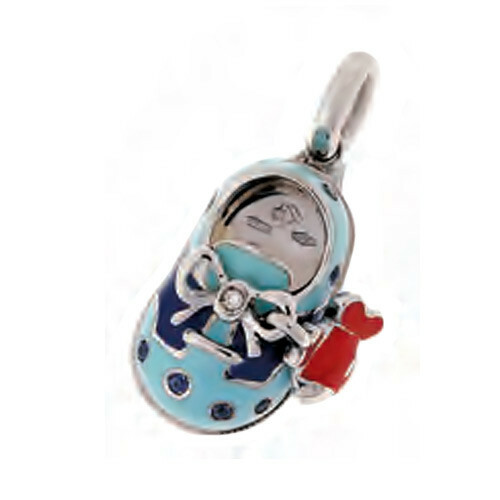 Represent that bouncing baby boy with a fabulous Aaron Basha charm. This piece is crafted in 18kt white gold with both light and dark blue enamel that creates the saddle shoe look. Blue sapphires embellish the charm, and a shoestring bow is dotted with one diamond as the knot. A cute little red fish dangles from the shoelace adding a splash of bright color. 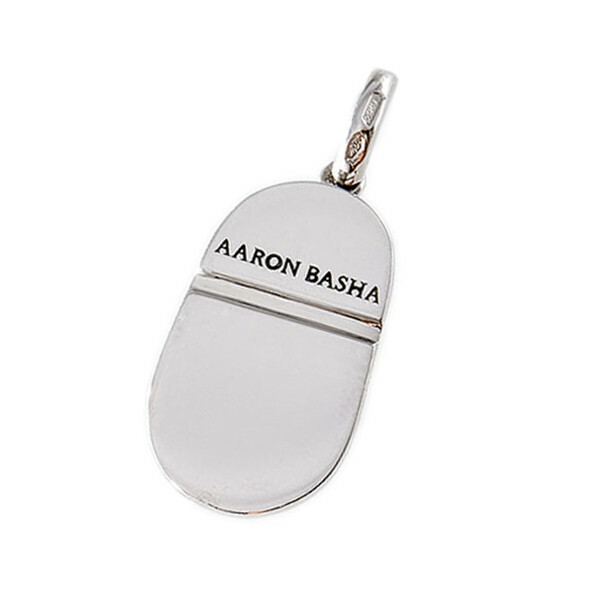 This Aaron Basha charm will let the world know just how important that young man is!